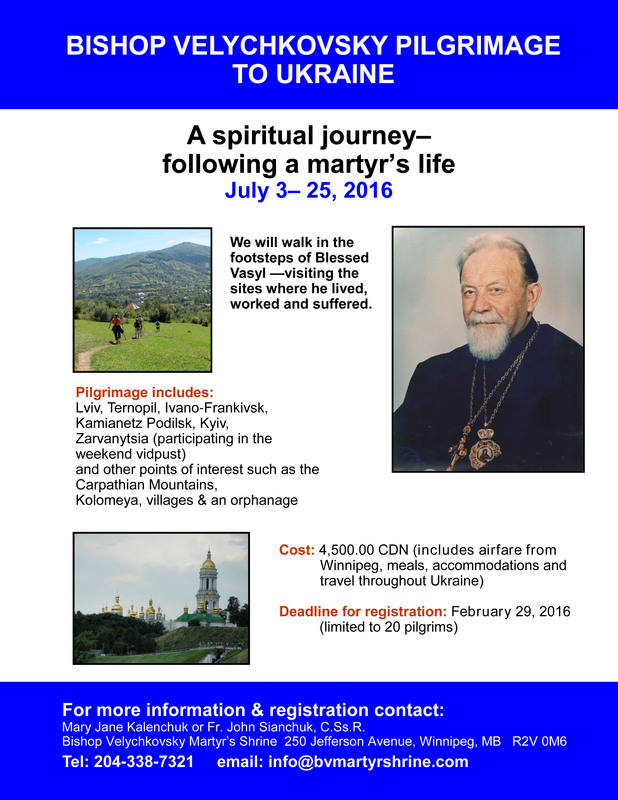 The Bishop Velychkovsky Martyr's Shrine is organazing a pilgrimage to Ukraine where Blessed Martyr Vasyl lived, worked and suffered. Some of the places we will be visiting are: Lviv, Ternopil, Ivano-Frankivsk, Kovel, Kamianetz Podilsk, Kyiv, the Carpathian Mountains, Zarvanytsia, Pochaiv, etc. On this pilgrimage the prayer services and the life story of Blessed Vasyl’s will be presented in the actual settings of his life. The tour will be conducted by Fr. John Sianchuk, and Mary Jane Kalenchuk.